catch trophy trout with our expert guides. found anywhere in the world. New Fork River, Salt River and More. including half day, full day and multi-day packages. 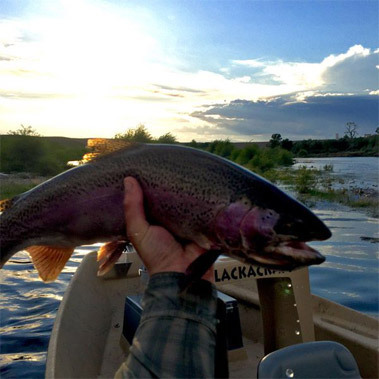 At Reel Deal Anglers, we are eager to share our knowledge of, and passion for, fishing Western Wyoming’s best waters. We offer guided trips on the popular Snake River in Jackson Hole, Wyoming, Green and New Fork Rivers located near Pinedale, Wyoming, as well as the pristine, quiet waters in the Wyoming Range, Gros Ventre Range and Wind River Mountains where the scenery is stunning, the fish are plentiful and other people few. Our experienced guides intimately know the more than 200 miles of rivers we guide on the Snake, Green and New Fork Rivers. A day on the Green and New Fork Rivers provides the opportunity to catch world class trout each time your fly is in the water! Reel Deal guided fishing trips are perfect for anglers of all abilities. We focus on a quality and safe fishing experiences and our small company caters our amazing trips to our clients, returning and new. We have multiple choices to guide on each and every day, ensuring you get out to fish on the best waters available. Whether you are signing on for a day trip, or an extended fishing vacation, we’ll take you on an adventure you won’t forget. Gig ‘Em & Mike O. My husband and I are seasoned anglers so when we say it was an excellent experience with Reel Deal Anglers, we mean from customer service and response by Rhett to Brian, our guide. Brian knew exactly where to find the fish and we caught many - large and small. It doesn't get any better than our experience with Reel Deal Anglers!! Thank you, Rhett and Brian, for taking such good care of us! Even giving us suggestions for where/how to fish Flat Creek. Dear Mr. Bain, We wanted to let you know how much we enjoyed our fishing trips with Brian and Alex. They were very personable and pleasant. They put us on a lot of fish. We had a wonderful experience that exceeded our every expectation. We will certainly highly recommend you to friends and family coming to Jackson Hole. 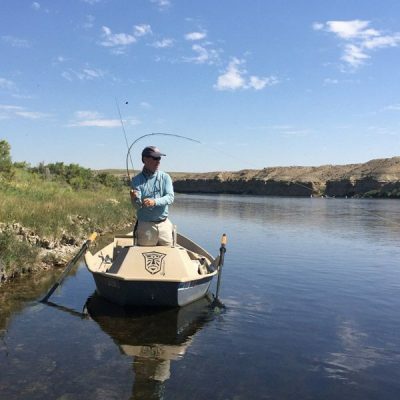 Get a taste for Western Wyoming fishing with a single day float or walk-wade fishing trip. Day trips are a great introduction to fishing the area, but be warned, at the end you’ll probably want more. We offer a variety of multi-day trips from an overnight to six nights on the water. These trips get you away from the crowds and allow you to focus on fishing some of the most beautiful waters in the West. 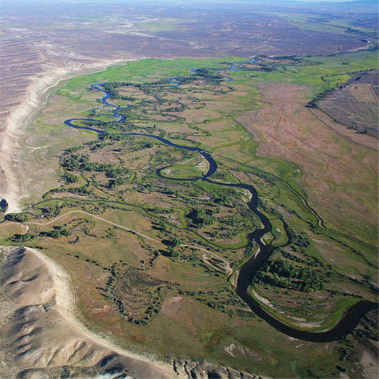 We fish the Snake River near Jackson, as well as more than 200 miles of the Green and New Fork Rivers. Along with the Wind River and Wind River Mountains, allowing you access to a variety of fish without the crowds. Our guides are passionate and professional anglers. On their days off, you’ll likely find them back on the water fishing for fun. They’ve spent years guiding the waters of Western Wyoming and intimately know the area and when and where fish are most likely biting. We provide rods, reels and waders at no extra charge, but feel free to bring your own gear.